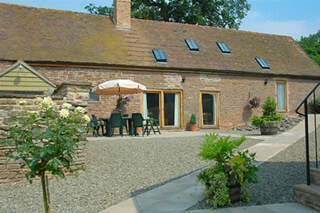 A warm welcome awaits you at our family-run working farm and livery yard offering B&B and self catering facilities. We are located in an area of outstanding natural beauty, deep in the Corvedale Valley and overlooked by the Brown Clee Hill, Shropshire's highest peak. Ride quiet country lanes and tree lined bridleways including the renowned Jack Mytton Way, which passes through the village, grassy bracken edged rides over the Brown Clee leading to fantastic views and pub lunches. Price £20 stabling per horse per night inc turnout and feed. 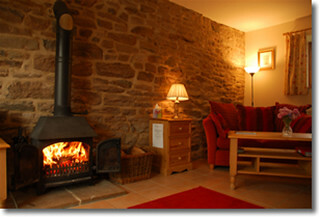 Self Catering in two cottages. 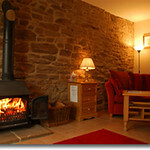 Trap Cottage sleeping 4 from £480 to £600 per week and Meal House sleeping 10 from £1300 to £1900 per week. 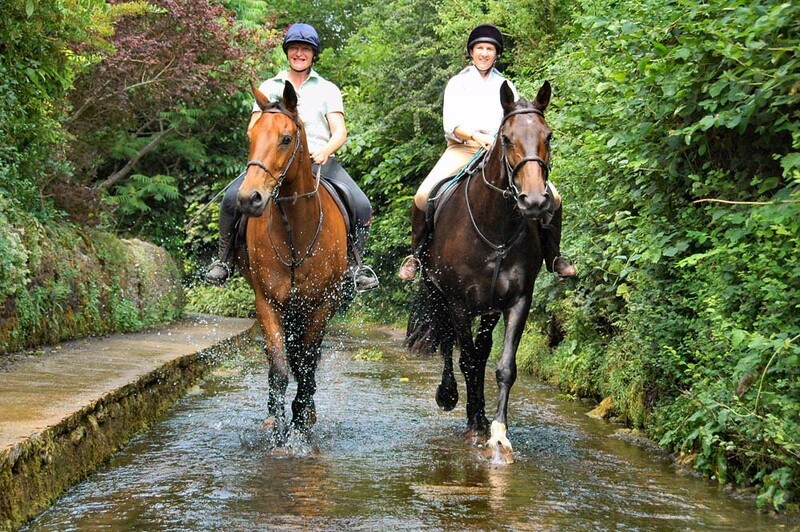 We have our own farm ride for you to enjoy, which links up with the famous Jack Mytton bridleway following a circular route back to the farm. Along it are various jumps and a TREC staircase, which can be tried. A large network of clearly way marked bridleways allow for days of riding without covering the same tracks. Local pubs cater for lunchtime stops for horse and rider. 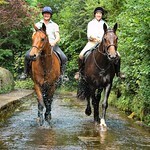 A warm welcome awaits you at our family run working farm and livery yard offering B&B and self catering facilities. We are located in an area of outstanding natural beauty, deep in the Corvedale Valley and overlooked by the Brown Clee Hill, Shropshire's highest peak. Ride quiet country lanes and tree lined bridleways including the renowned Jack Mytton Way, which passes through the village, grassy bracken edged rides over the Brown Clee leading to fantastic views and pub lunches. From Ludlow: Turn right off the A49 onto the B4365 signposted Ludlow Race Course, follow the road to T junction. Turn right onto the B4368. At Diddlebury turn right, signposted Tugford. Follow the lane out of the village for 3.8 miles. The first hamlet you come to is Tugford. Take the second right and immediately right again into Tugford Farm.